Thursday evening at Canalside, the Grammy award winning band from Red Lion, Pennsylvania Halestorm took over the stage. 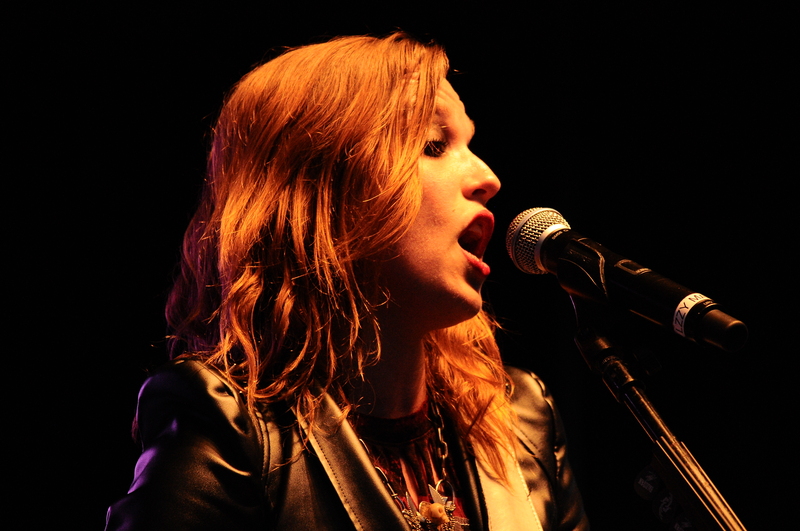 The band features siblings Lzzy and Arejay Hale along with lead guitarist Joe Hottinger and bassist Josh Smith. Just before “Break In” Lzzy told the crowd how she appreciated every time they play Buffalo, how the fans make it feel like home to her. Halestorm seems to be one of those bands that really have made a connection to this town. It was evident by how fast the front of the stage area filled up Thursday evening. The crowd leaned more on the younger side more so than normal on this particular evening. Considering how popular Halestorm has become it was no surprise. As the show progressed on, Arejay dazzled us with a drum solo and before it was over, he brought out his oversize drum sticks a gimmick he has used in the past. As the band came back out for a quick encore featuring the band’s latest single “Here’s To Us” one thing was very noticeable, singer Lzzy Hale sounded as good live as she does on the records and that is not always an easy thing to pull off. As the band ended the show with perhaps their best song of the night in “I Miss The Misery” it was apparent how far this band has come. Now as we await the band’s next album, we will see if the band will continue on their meteoric rise to the top. Judging by the reaction of the Buffalo faithful the band keeps winning new fans over which will only help their cause.